Are dark energy and dark matter really dark? Currently we are witnessing an age of rapid and deep change in our understanding of the nature of the gravitational force, at a rate that is quickly increasing due to the recent important observational discoveries. Presently, we can see the emergence of new cosmological paradigms, with the $\Lambda $CDM model seeming to fit the best the existing cosmological data. According to the $\Lambda $CDM model, the present day Universe is dominated by two mysterious components, dark energy and dark matter, with the former responsible for the accelerated expansion of the Universe, and the latter providing a possible explanation to the strange behavior of the galactic rotation curves. However, up to now, no direct detection/observation of the dark matter has been reported, and presently the only evidence for its existence is its gravitational interaction with baryonic matter, and the particle nature of the dark matter is still unknown. Hence, cosmological and astronomical observations strongly suggest that at large scales the force of gravity may not behave according to Einstein’s standard general relativity, and that a generalization of the Hilbert-Einstein action principle, either at the geometric level, or at the matter level, may be required for a full understanding of the gravitational interaction. One of the first such generalizations of the action principle for gravity goes back to 1970 in the form of the $f(R)$ gravity theory, in which the simple Ricci scalar of Einstein’s gravity is replaced with an arbitrary function of the curvature. 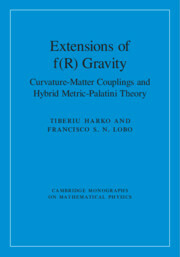 The book “Extensions of f(R) Gravity: Curvature-Matter Couplings and Hybrid Metric-Palatini Theory” by T. Harko and F. S. N. Lobo is focused on some recent extensions of the standard theoretical concepts in gravity and cosmology. In particular we examine in detail some recent modifications of gravity that tend to reevaluate the role of matter in gravity. In Einstein’s general relativity matter is a passive source of curvature, and therefore of gravity. But what if matter not only creates, but also dynamically couples to geometry? Then new terms would appear in the Hilbert-Einstein action, and their presence would significantly extend the range of theoretical models, as well as of the possibility of explaining the two most mysterious components of the Universe, dark energy and dark matter, respectively. 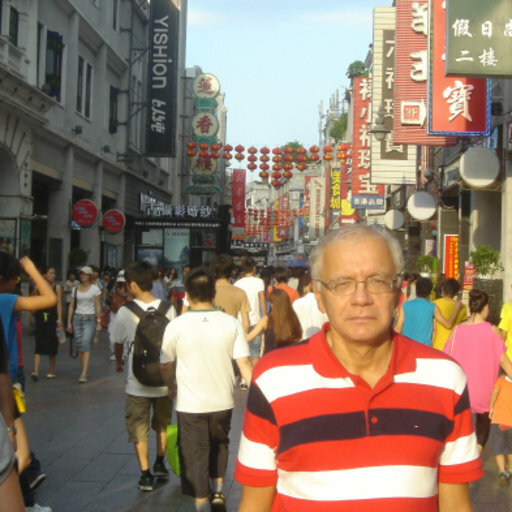 There are several ways in which matter may couple to geometry. In our book we consider detailed descriptions of three such theories that involve the coupling between the matter Lagrangean and curvature (the $f\left(R,L_m\right)$ gravity), the trace of the energy-momentum tensor and curvature ($f(R,T)$ theory), and a combination of the metric and Palatini $f(R)$ formalisms called Hybrid-Metric Palatini Gravity theory. These theoretical approaches open some new perspectives on the problems of the dark energy and dark matter. They can explain the late acceleration of the Universe, the galactic rotation curves or the mass deficit in galaxy clusters without resorting to the enigmatic (and undetected) dark energy and dark matter. The dynamics and structure of the Universe can then be understood only in terms of the complex interplay between ordinary matter and geometry, without any need of introducing exotic forms of matter into the fabric of the Universe. In our book we have presented in detail the implications of gravity theories with matter-geometry coupling. In particular, we have shown how dark energy and dark matter can be explained by simple modifications of the gravitational action. But is this the final word on gravity? We hope that our book will serve as a reference for initiating and continuing state of the art research in the fundamental fields of modified gravity, dark energy and dark matter.